At the University of Newcastle, our staff are curious. We think big, see opportunity, are open to ideas and ask why. We are collaborative – embracing change, adapting and responding together. We share wisdom and partner with colleagues in Australia and around the globe to create an enduring impact. And we are courageous – bold thinkers who have the confidence to take risks and inspire change. We believe in creating opportunities – making education accessible to students from all walks of life and empowering them to soar. The University of Newcastle is playing a central role in transforming Newcastle and the surrounding regions into a truly global centre for innovation and a major economic engine of NSW and Australia. It is a place filled with people who work towards a common purpose, where people are warmly welcomed and supported. The lifestyle available in Newcastle is unparalleled, where a family friendly lifestyle can easily be accessed. We are proud to support regional NSW, and in addition to our people being based in Newcastle and Sydney, we have employees located in Ourimbah, Port Macquarie and other regional centres. The University of Newcastle has a proud reputation for its unrivalled commitment to equity and social justice. 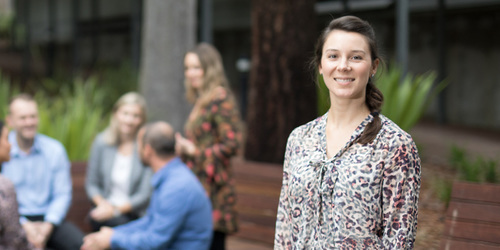 Creating an equitable and diverse workplace where everyone can fulfil their potential and achieve career goals transparently and on merit has long been important for the University of Newcastle. We have achieved some significant advances for women in academic and professional roles, and yet there is more to be done. We are focused on achieving gender equality across all levels, disciplines and professional areas. We care about creating culture that feels inclusive, fair and supportive. It comes down to attitudes and priorities and how these are demonstrated through action. We will continue to make gender equality a priority. Leaders have a key role to play in driving behavioural and systemic change. Our leaders will be accountable for prioritising and championing gender equity across all their portfolio activities. We know that diversity drives better outcomes, so we will address the underrepresentation of women in key areas to ensure our workforces and places are performing at their full potential. We need to ensure that in all areas of University operations there is gender balance in leadership. We will be alert to the needs of women in our workforce at different points in their career, providing the training, leadership and development they need to progress in accordance with their near term career goals and long term aspirations. Creating an environment where staff can manage their work and personal commitments is no longer optional. It is expected and it is justified. It also delivers the best results. We will continue to listen to our people to understand how best to support them to achieve balance. We will apply a gender lens to how our workforce is paid and will identify and address processes and behaviours that can create disparities and inequity. The University of Newcastle is a recognised Employer of Choice for Gender Equality, and we acknowledge that there is always more that we can do. 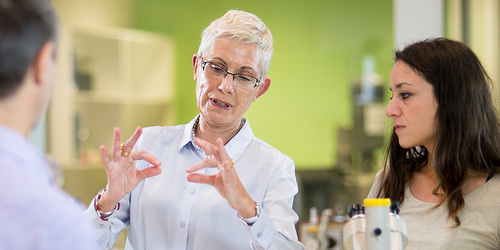 We are proud to be among the first group of Australian universities to pilot the Athena SWAN Charter under the Science in Australia Gender Equity (SAGE) program. 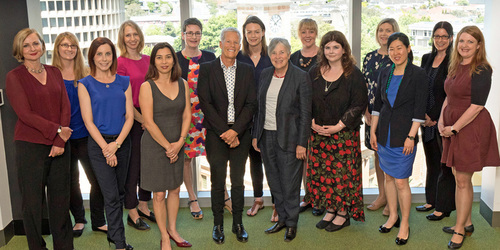 Earning accreditation under this prestigious UK Charter will reflect the work undertaken over two years to identify and address the underrepresentation of women in STEMM disciplines.